Congratulations to Tony Rinaudo! The Australian agronomist has won this year’s “Alternative Nobel Prize” for a trailblazing reforestation technique. Since the 1980s, Rinaudo has been developing the so-called FMNR method for reforestation. FMNR stands for Farmer Managed Natural Regeneration. The method uses existing living root fragments of cut trees and makes them grow again. It is mainly used in desert and semi-desert areas in Africa. In the Sahel zone, millions of hectares of land have been restoring vegetation, thereby helping to stop desertification and re-green drylands. 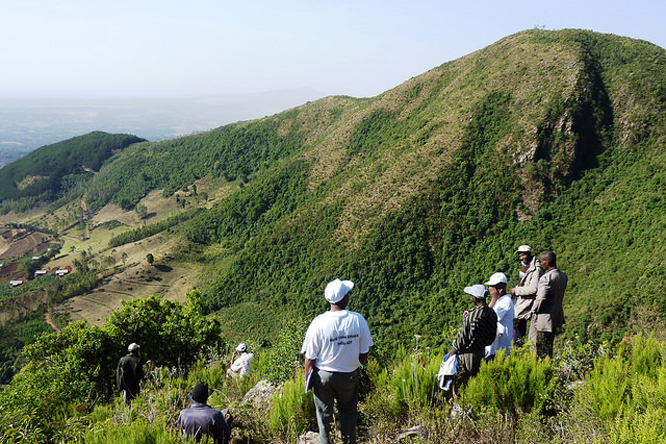 The FMNR method is also successfully implemented in our Sodo reforestation project in Ethiopia (https://www.co2ol.de/soddo-community-managed-reforestation/).